Charles Henry Turtle was a family name, with his father, grandfather and son all sharing the same name. He was married to Catherine Ellen Bonfield. He died in 1953. Charles Turtle was an accountant, and also the Town Clerk of Darlington Council. Charles Turtle was an alderman on Newtown Council in 1907-31, representing Kingston Ward. 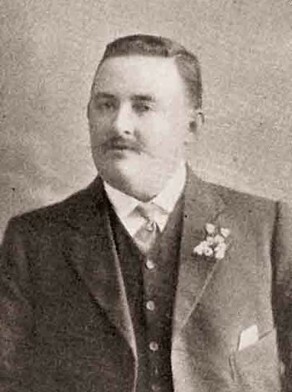 He was mayor in 1916-17. He had been elected 12 November 1907 after death of Abigail Snr.